My friend wanted to make some of these for friends and she asked me to help. 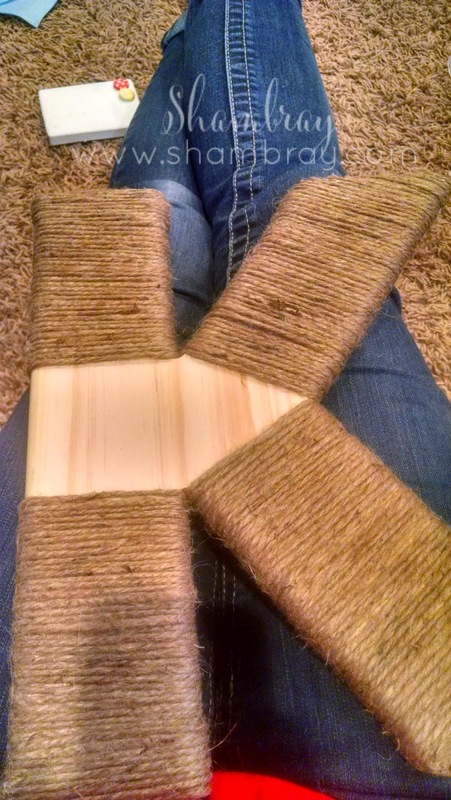 I thought it would be fun to have a craft day/night and help her. I thought I can do that. No big deal. 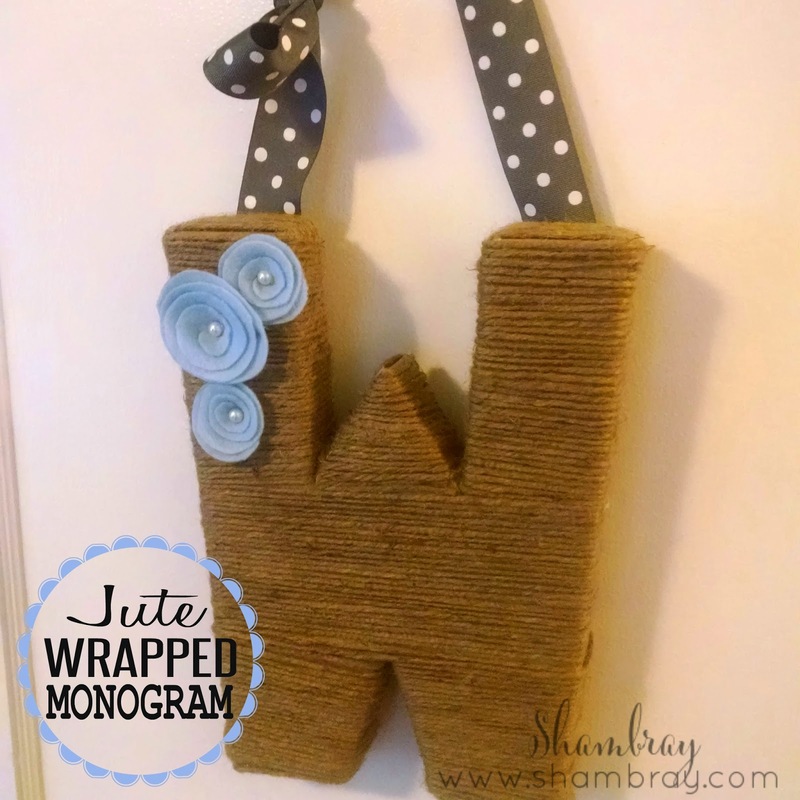 I thought this craft would be easy, but I had to redo the letters a couple of times to get the wrap to look right. It would look chunky one time and the next too spaced out. Finally I figured it out. I hope you can learn from my silly mistakes. 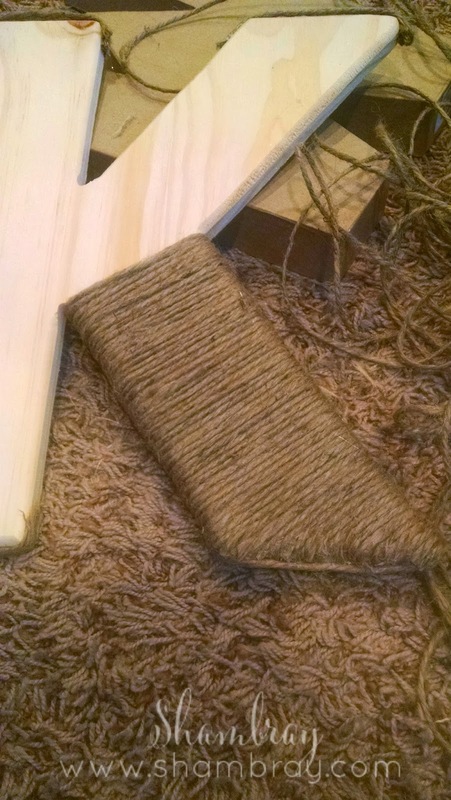 First tip is to cut short strips of jute for the bottoms and tops of each of the edges. 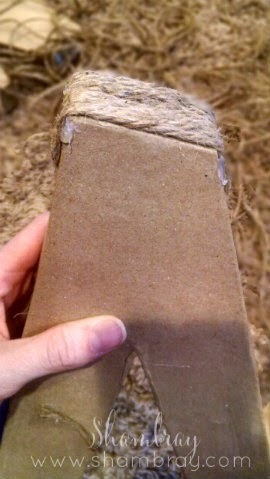 This makes the jute sit more flat. I wrapped 3 different letters. I will show you the different steps that I took to wrap them so they were evenly spaced. I will start with K since it was the hardest one to do. No matter where you are starting make sure to hot glue the first end down at a reasonable location to start wrapping. With the K I started at the top of the bottom right "leg". Then when I got to the point where the picture is below I cut pieces barely longer than the front and wrapped them around the back and glued them down to the back individually. I had to do it this way because one edge was longer than the other and so wrapping it with one continuous string did not look right. 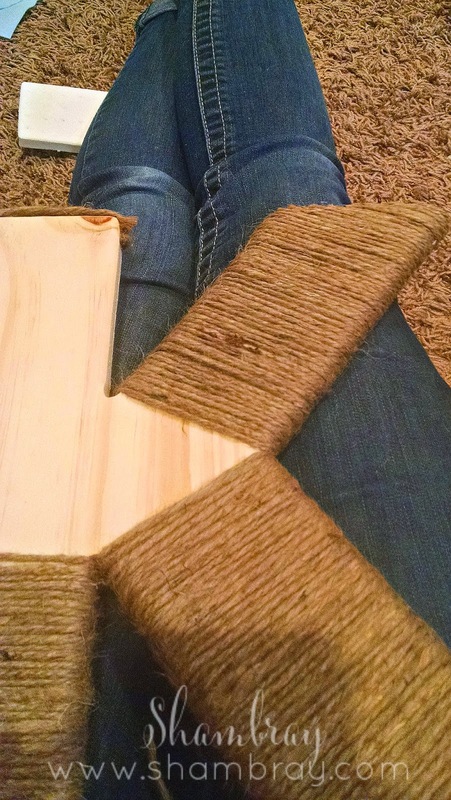 This is the first step finished on the K.
Next I wrapped the upper right "leg". I did this the same way as the first. Next, the bottom left "leg" I wrapped until it met the bottom right "leg". 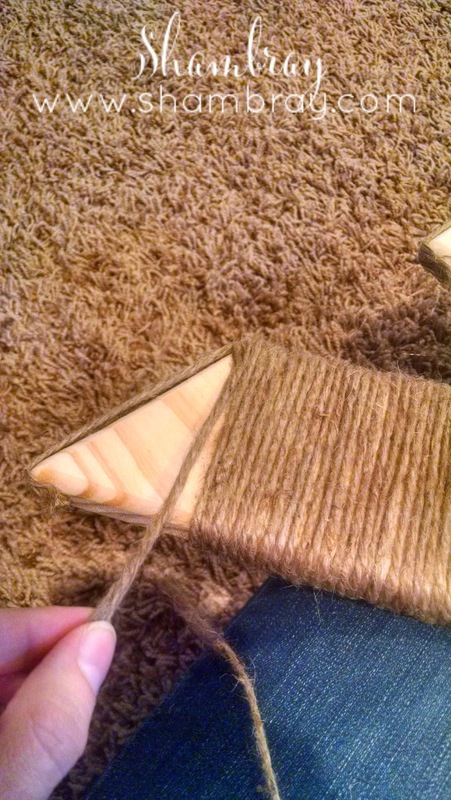 Since both edges were the same length I was able to just wrap and not have to cut any part of the jute. Next I wrapped the upper left "leg". Same as the bottom left "leg". 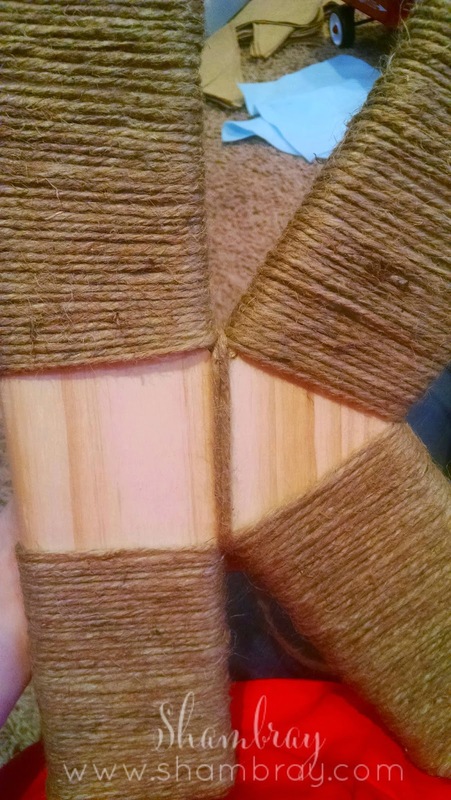 If I did not wrap the 2 strips as shown in the picture below then part of the wood would have been showing. This was a simple way to prevent that. Side note: everything looks so ugly until it is completely wrapped. I had doubts even while I was doing this tutorial. Luckily, in the end it turned out! Finish by wrapping the middle part. 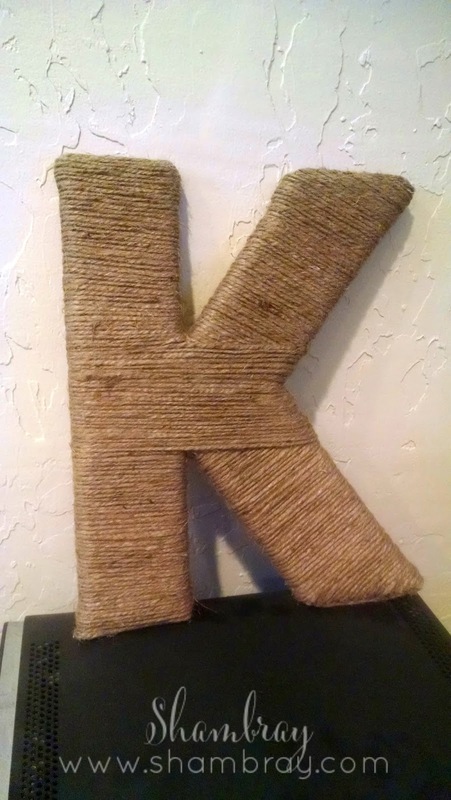 The jute looks clean and sits perfectly on the K. No wood is showing and not too much overlapping is going on. Finished with all the embellishments. Love them!! I actually made one for myself!! Great idea! 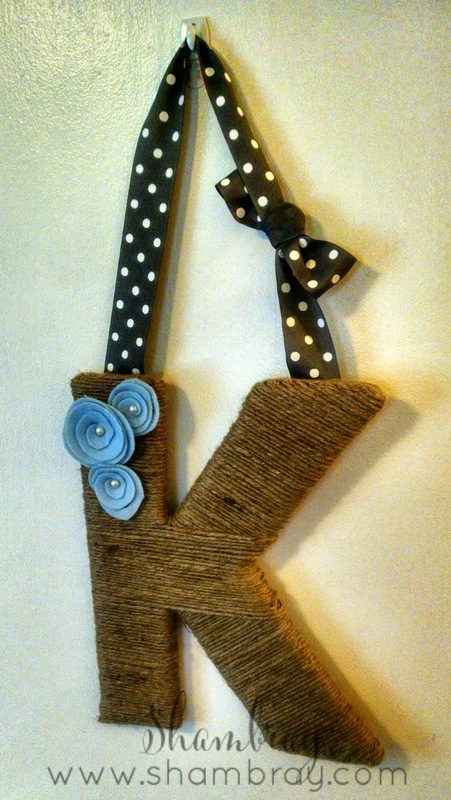 I love how it can be customized for the person based on what you the flowers and ribbon you choose. Yay! I love them too. I need to make one for myself now! I agree. You have many options that you could do. It would go with ANY decor. These turned out so cute! I love how you embellished them with the three flowers. It's the perfect touch! Thank you! I loved how they turned out. So easy to swap out the colors with colors that go with your home!